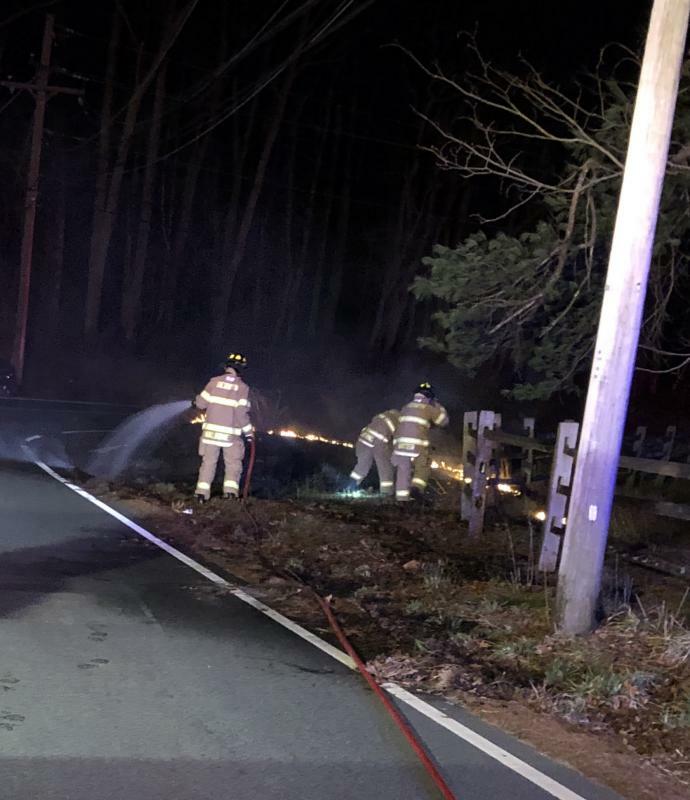 Fire/EMS personnel arrived to find a single vehicle that had crashed into a pole, along with a brush fire on the side of the road. 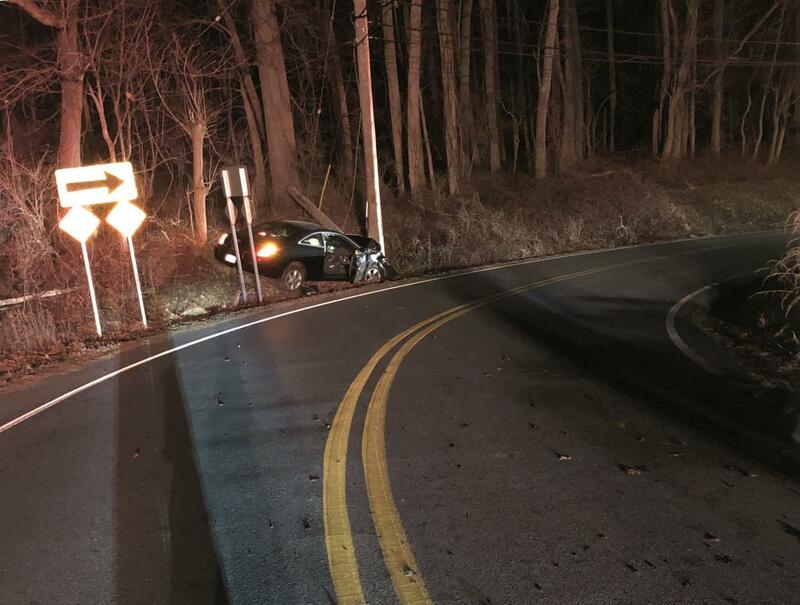 The driver and sole occupant of the vehicle was able to self-extricate themselves to a safe location away from the damaged pole that was broken and leaning. Firefighters worked quickly to extinguish the flames as EMS personnel tended to the injured driver. The driver was eventually transported by Berwyn EMS to Paoli Hospital. Fire crews remained on the scene to clear debris from the roadway and to provide lighting as the vehicle was removed by Conestoga Collision. All units were clear of the scene by 9:30 p.m. A total of 2 career staff and 14 volunteers responded to this incident. 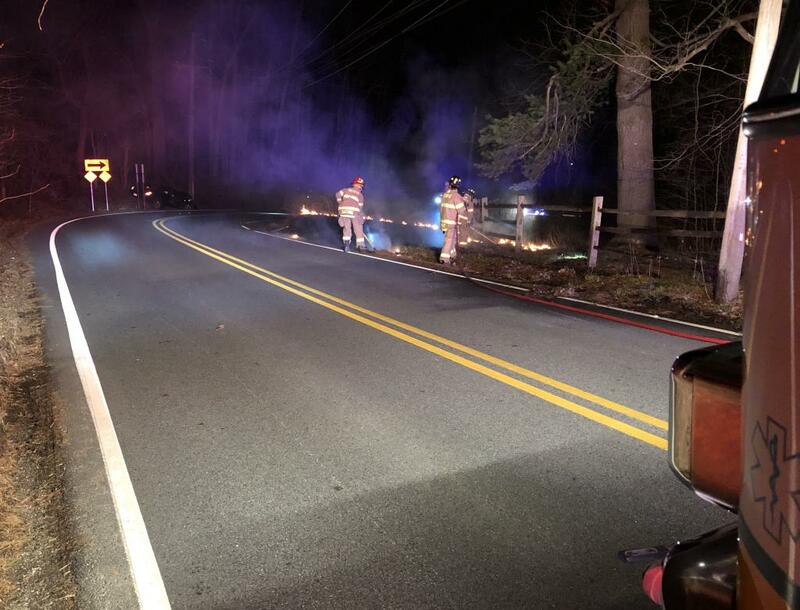 The Easttown Township Police Department provided traffic control and investigated the cause of the collision. Waterloo Rd. remains closed between Church Rd. and Castlehill Ln. as PECO crews work to repair the damaged telephone pole.